I help businesses support their environmental sustainability programs through effective digital content. That’s where I can help. 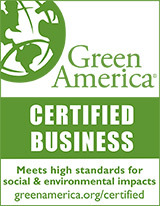 As a marketing writer and certified green business through Green America, I know the issues you are dealing with – from finding sustainable packaging to purchasing renewable power; from improving the energy efficiency of your facilities to working with product teams to designing waste out of your products. As a graduate of both Harvard and MIT, and with a diverse corporate career behind me, I get up to speed fast on your issues. I know the right questions to tease out the key variables in your specific situation. And I collaborate with you to understand the best way to create content for your audience. My clients have won awards, seen their event attendance jump, and grown their subscriber base.